Kimberly’s primary reason for hiking the Appalachian Trail (A.T.) is to follow in the footsteps of her great uncle and the first A.T. thru-hiker, Earl Shaffer. 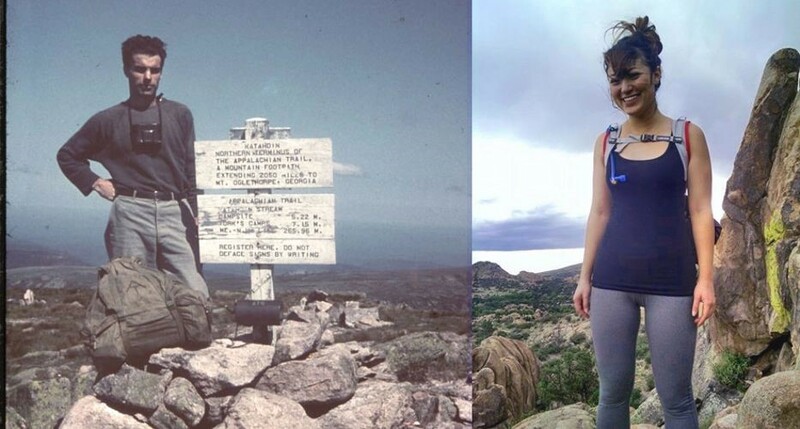 Her family has always loved hiking; her grandfather Daniel, who was Earl’s oldest brother, passed on his love of hiking to her father, who frequently took Kimberly and her sister hiking as children. Kimberly continues to hike and to connect with her great uncle’s story by reading his works and biographies, as well as talking with family members about their memories of him. In hiking, Kimberly hope to connect with his story on a deeper level and retrace his journey on the A.T. — both physically and personally. "Before I hike, I’ve been working to find and connect with groups of people that Earl interacted with on his first thru-hike. I’m hoping to talk with people who carry the legacy of the Trail with them - from the Harvard forestry department where Benton MacKaye worked, to the family of Water Winemiller, Earl’s best friend in whose honor he hiked the AT. There are outfitters/suppliers, forest service and trail maintenance groups that he specifically mentions in his “little black book” - and I’ll be doing my best to reconnect with them before and during the hike." Kimberly plans to represent the mission of the Appalachian Trail Conservancy (ATC) while she thru-hikes the Trail in 2018, and to help promote diversity and youth involvement on the Trail. While she will primarily be hiking to discover Earl’s legacy as a part of her family history — as well as a life-changing adventure — Kimberly is excited to explore other themes during her hike, including: the conservation of Appalachian species; linking together communities along the Trail; economic development throughout Appalachian; the Trail as a corridor for peace (both after the Civil War, as Benton MacKaye championed, and after World War II, when Earl hiked the war out of his system); thru-hiking culture; and the role of nature in personal and societal healing.